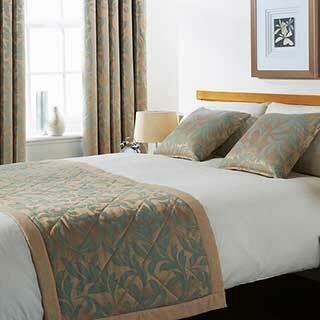 Bed runners and cushions offer a quick, beautiful and easy way to decorate a bed. 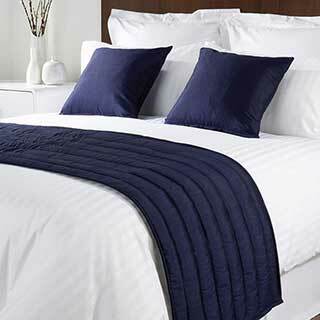 Bed runners also add a touch of elegance to a plain duvet cover. 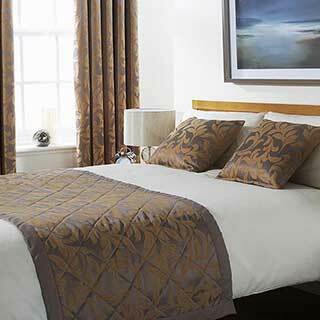 We supply a wide variety of high quality bed runners and matching cushion covers. 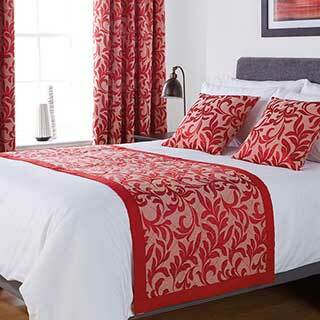 Order your bed runners from www.supply2hotels.co.uk. Size: 50x240cm (19x94"). Available in Chocolate, Burgundy, Beige, Green and Navy. Dry cleaning is recommended. Matching cushion cover available - 40x40cm (16x16"). 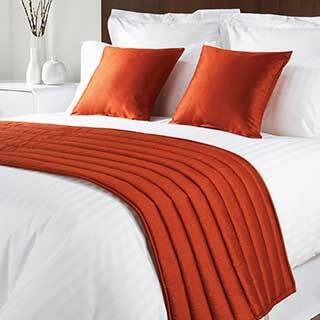 Bed Runners RRP £26.99. Cushion Covers RRP £9.99. Available in three modern colours - Olive Green, Taupe and Rust. 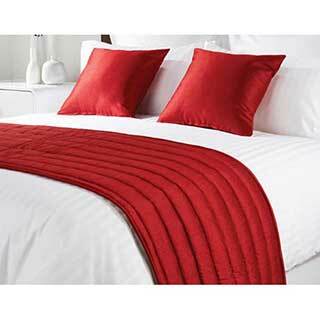 Available in four sizes of bed runners - Single 66x165cm, 66x230cm, 66x255cm and 66x290cm. Available in four sizes - Single 53x165cm, 53x230cm, 53x255cm and 53x290cm. Available in four sizes of bed runners, single size 165x63cm, double size 225x63cm, king size 265x63cm and super king size 295x63cm. Matching cushon covers available in two sizes 32x42cm and 45x45cm. Available in a range of 22 beautiful colours to match any décor. Chocolate, Walnut, Raspberry, Scarlet, Ocean, Slate, Lime, Antique Gold, Rust, Navy, Purple, Sea Green, Cool Blue, Bisque, Copper, Lilac, Taupe, Fern, Black, Aubergine, Dusky Pink, Magenta. Fabric Composition: Front 100% Polyester Faux silk. Reverse 100% Polyester. Filling: 100% Polyester. Fabric weight: 115 grams per square metre. Machine washable at 40° C. Matching 32x42cm and 45x45cm cushion covers available. Available in four sizes of bed runners, single size 140x70cm, double size 175x70cm, king size 200x70cm and super king size 230x70cm. Matching cushon covers with cushion inner available in 46x46cm. 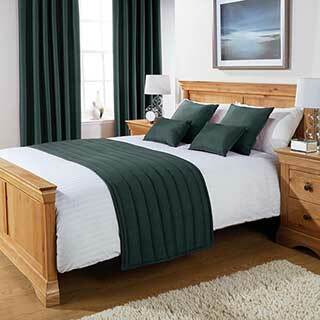 Available in a range of 3 classic colours to match any décor. Colours available: Greystone, Chilli and Duck Egg. Fabric Composition: Front Polyester/Cotton. Reverse Polyester/Cotton. Filling: 100% Polyester. Fabric weight: 100 grams per square metre. Machine washable at 40° C. Matching 46x46cm cushion covers available.